MJ12 myths include the three Alternatives planned by the elite. These Alternatives were to be their means of not only surviving the Pole Shift but also sculpting the globe to their liking. Alternative 1 was an underground bunker program on Earth, primarily within the US. Alternative 2 was reducing what the elite considered undesirable “useless eaters” via the spread of AIDS and Ebola. Alternative 3 involved sheltering the elite off-world during the Pole Shift on Mars, the Moon and the Dark Twin. All three Alternatives sprang into action after the 1947 Roswell era, when MJ12 learned of the pending Pole Shift from aliens. ZetaTalk Explanation 7/15/1995: Alternative 3 is suspected as having been implemented, as Alternatives 1 and 2 have been. The United States government went underground, at Mount Weather and numerous other spots, as has been documented to the satisfaction of even the skeptical reader. This fact is not even being denied by the government any more. Portions of the government, and we are here speaking of rogue CIA officers, set out to trim and prune the Earth's humanity to their liking. Thus we have the AIDs and Ebola viruses, as well as various wars and conflicts which the CIA always seems to be at the center of. Likewise, Alternative 3 was implemented, but as the populace can't get up to the surface of other planets, this cannot be demonstrated to the satisfaction of skeptics. Of course, there are clues such as the tight controls placed over transmissions from probes, and the odd malfunction of the Mars probe just as it was about to hit pay dirt. Alternative 1 was evident at Mt Weather where the underground facilities were completed in 1959. Various underground bunkers have been rumored to exist, as well as tunneling connecting these facilities. 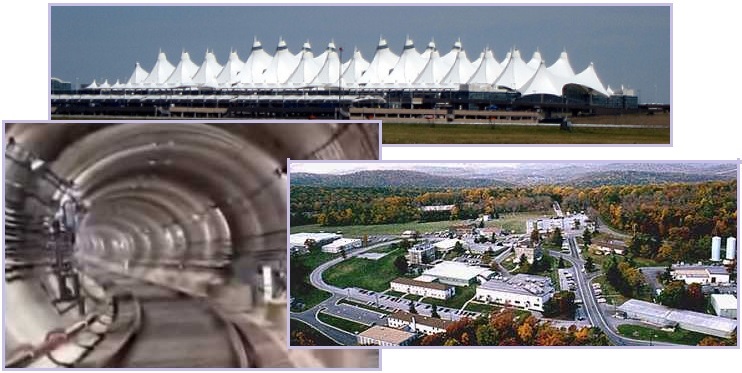 Underground facilities at the Denver airport head the list. These bunkers remain secret, with only Mt Weather exposed due to an airliner crash in 1974. The site was brought into the public eye by The Washington Post, when the government facility was mentioned while reporting on the December 1, 1974, crash into Mount Weather of TWA Flight 514, a Boeing 727 jetliner. The facility is a major relocation site for the highest level of civilian and military officials in case of national disaster, playing a major role in U.S. continuity of government . The underground facility within Mount Weather, designated "Area B", was completed in 1959. The underground component, contains 600,000 square feet. What is happening with TruTv "Conspiracy Theory" episodes is a conspiracy itself. The TSA/FEMA episode has been blocked from being aired. ZetaTalk Prediction 9/7/2002: Many, many other facilties were constructed, as rumored, with the idea that the pole shift would ruin the atmosphere but not cause extensive quakes and shifting of the crust. In those days, the CIA, who was dominant in MJ12 in the early years, listened to the Service-to-Self aliens who impressed them with technology, and talked their language, frankly, one Service-to-Self group to another. The Service-to-Self aliens spoke of saving the few, the elite, and leaving the masses to their lot. This resonated with the CIA, who were composed at the start with recruits from the Nazi SS. Given the size of the quakes, Richter 9 force worldwide, with mountain building and renting of continental rifts, these underground facilities will hardly be a safe place. It takes little to trap an outlet, torque an elevator such that it cannot rise or fall, and create panic in the tomb. Air circulation will not work, slowly smothering those trapped inside. Water will find its way into underground pockets, drowning those trapped. Electrical equipment will falter, plunging those into darkness. Alternative 2 was implemented by the CIA, who extracted the AIDS and Ebola virus from the wildlife in Africa and set about spreading this among those they considered the world’s undesirables. Not surprisingly, pandemics started with both these pathogens in Africa around 1975-1980. HIV/AIDS is a global pandemic. As of 2012, approximately 35.3 million people are living with HIV globally. AIDS was first recognized in 1981 and by 2009 had caused nearly 30 million deaths. The most frequent mode of transmission of HIV is through sexual contact with an infected person. In the United States intravenous drug users made up 12% of all new cases of HIV, and in some areas more than 80% of people who inject drugs are HIV positive. There is currently no cure or effective HIV vaccine. Fruit bats are believed to be the normal carrier in nature, able to spread the virus without being affected by it. Humans become infected by contact with the bats or with a living or dead animal that has been infected by bats. After human infection occurs, the disease may also spread between people. Bats were known to roost in the cotton factory in which the first cases of the 1976 and 1979 outbreaks were observed, and they have also been implicated in Marburg virus infections in 1975 and 1980. ZetaTalk Confirmation 7/15/1995: AIDS is both a natural and unnatural occurrence. It has occurred naturally within the simian races for centuries. It has outcropped among humans in Africa and the south seas periodically, but due to limited population spread, simply devastated those groups it invaded. Where there is no written record and no survivors, there was no trace. It was spread through diet, by blood improperly cooked. It was spread through the dietary norms of the initial groups infected. Once having taken place, fastening on a group of humans, the infection could be directed. Sexual habits in Africa and the south seas is highly promiscuous. Sexual liaisons can be arranged. 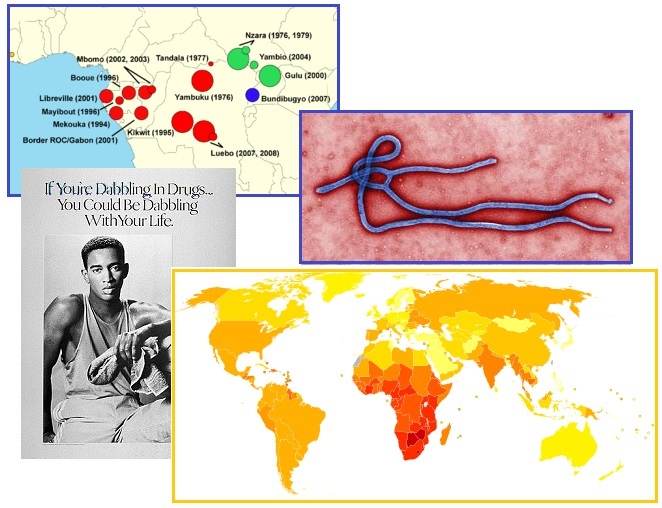 ZetaTalk Confirmation 7/15/1995: The Ebola virus was one of many gleaned from the bowels of the African jungles. Africa and South America are targeted continents. The land, rich in resources, was then to be theirs, and any human inhabitants having natural immunity to the viruses unleashed would be their docile servants. Africa and South America have long histories of such abuse, being colonized for centuries in such a manner. The Ebola virus did not catch on as did the AIDS virus, and the reason was simple. It tended to kill its handlers! When cast out among the swine, as was the phrase used to describe dissemination, the swine would die, but those casting their evil seed could not run fast enough. They carried it home with them, and they died in secreted hospital rooms, infecting their frantic nurses and doctors. After a time or two, they gave up on the Ebola virus, which refused to be tamed. Alternative 3, being off-world and highly secret, does not have a track record on Earth, but this recently changed. Due to the elite’s desire to avoid the sliding crust of the Earth during the coming Pole Shift, interest in an escape to Mars has reached a fever pitch. The recent rendezvous with the comet 67P is a case in point. Now we have the possibility of humans on Mars in 1979 in the news. Yes, the Apollo flights went to the Moon around that time, and yes, the Viking landers went to Mars around that time, but per the Zetas, these did not establish colonies. Alternative 3 did, however, result in colonies which did not survive. Vikings 1 and 2 landed in 1975 and 1976, and sent back the first data about the Martian surface - including a distinct lack of extraterrestrial life. The woman called into Coast to Coast AM with a 'confession' that she had witnessed suited men running on the red planet in 1979. Jackie said she was working as part of a 'downstairs' team downloading telemetry from a Viking Lander when she saw the humans via live feed. ‘That old Viking rover was running around. Then I saw two men in space suits – not the bulky suits we normally used, but they looked protective. They came over the horizon walking to the Viking Explorer.’ NASA has not corroborated the story. Six other NASA workers saw the two humans walking on the red planet's surface. 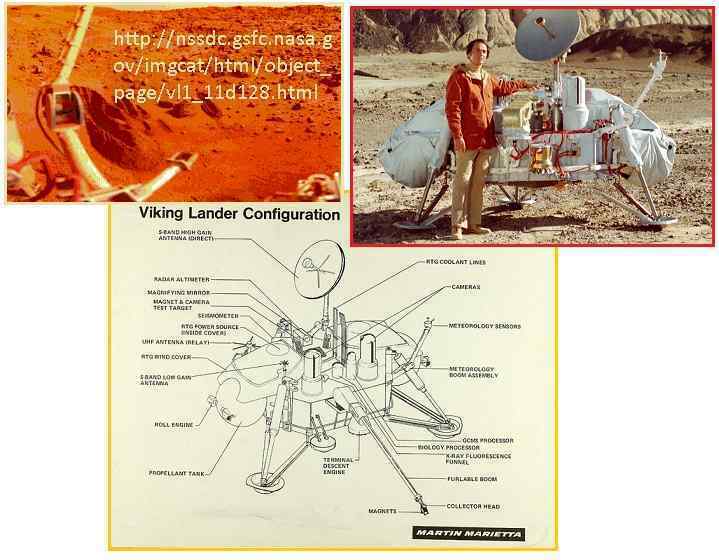 The Viking landing craft did not send a live TV feed back to Earth, and as its name suggests it simply landed on the Martian surface, it did not have wheels like the latest Curiosity craft. The Viking 1 Lander sampling arm created a number of deep trenches as part of the surface composition and biology experiments on Mars. ZetaTalk Insight 12/6/2014: Is this supposed 27 year secret, a leak from a former NASA telemetry technician, genuine? As with most CIA directed leaks, there is partial truth along with a lot of disinformation. There was no connection between the Alternative 3 operations and the Apollo and Viking efforts, for obvious reasons. The public was not to know about the alien presence, was not to know about MJ12, the secret government, and certainly was not to know about the pending passage of Nibiru. The humans that resided on Mars for a time were exterminated when the program closed down, to ensure secrecy. Nor did they walk about where they could be seen. ZetaTalk Description 7/15/1995: We will tell you about Alternative 3. As with the other Alternatives, the particulars of this alternative were something the Service-to-Self aliens contacting the government were familiar with. They are currently parked on the surface of planets in your Solar System - Mars, the Moon, and a dead planet in orbit opposite your Earth, which you never see as the Sun blocks your view. They sent representatives of the US and other governments up to these places, to demonstrate that such a living arrangement was hospitable. Matters soon went amuck, however. Stress diseases cropped up among the humans, ulcers and heart palpitations and arthritic pains. They became distracted in their work, stricken with headaches and vague feelings of weakness. Their human commanders, paranoid about living away from the Earth to begin with, attributed all this to planetary factors such as gravity, air pressure, air composition, or perhaps strange rays that were not measurable on their instruments. The plan was abandoned, and the humans who participated were exterminated. Booms from the stretch zones have been around since 2003, when Planet X arrived in the inner solar system. Described by the Zetas as clapping air over heaving water or land, they are the result of stretched rock layers that are being pulled apart or rock that is being snapped at a bend point. ZetaTalk Explanation 6/15/1996: Increasingly as the pole shift nears, the Earth will give evidence of the compression and tension in her surface by what humans will perceive to be sonic booms. The mechanism is in fact the same, clapping air masses, the same mechanism that produces thunder. Where thunder is caused by air masses separated by what is essentially a vacuum created by the superheating lightning bolt, and where sonic booms are caused by a compressed air mass pushed in front of the plane exploding back to equalize with the thin air mass trailing the plane, pre-cataclysm booms are caused by heaving in large bodies of water. Earthquakes where plates are compressing are measured by humans as the friction causes jolting, but for every compression adjustment there is, somewhere, a widening in a rift. Most often these rifts lie underwater, as water fills low lying places. A widening rift does not jolt the bordering plates, it is a silent adjustment. However, the sea water rushing to fill the new void has an effect on the air masses above, creating a thin air mass and causing the air on all sides of this thin air space to rush in, and clap! The Atlantic is certainly one of those widening rifts, being pulled apart as the Pacific compresses during the 7 of 10 plate movements. Certainly the highly active volcanos in Iceland, erupting again since August 29, 2014, show the Atlantic rift to be ripping. 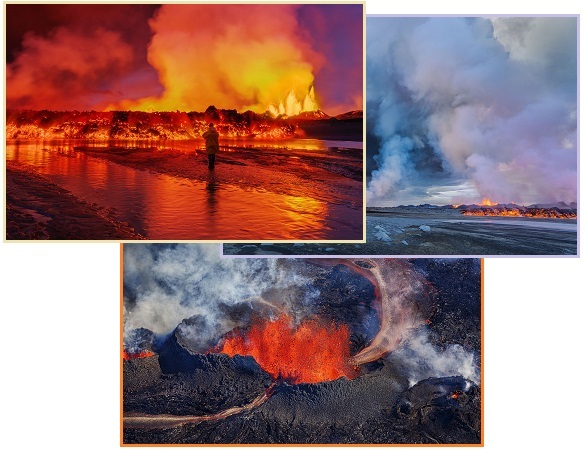 Iceland's Bardarbunga volcano has been erupting since Aug. 29, with lava shooting out of the ground on the Holuhraun lava field about halfway between that volcano and a neighboring volcano called Askja. The caldera itself has sunk by more than 61 feet, which is the largest amount of subsidence observed in any volcano in Iceland since such observations began in about 1950. 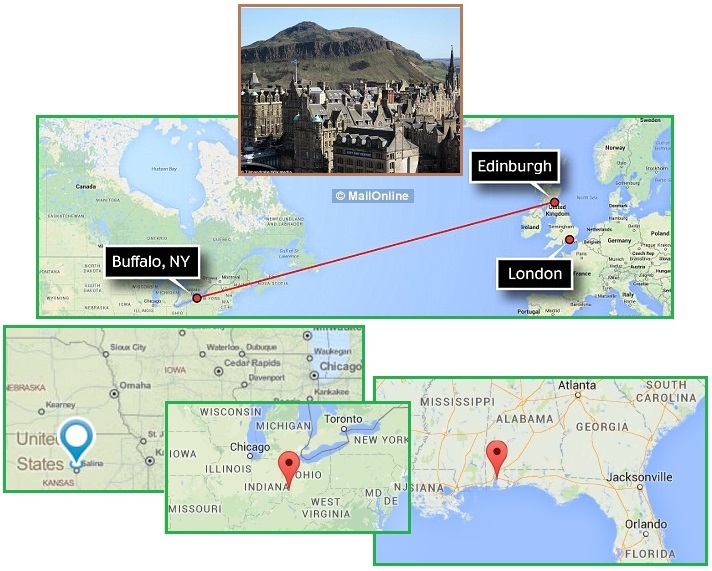 Something gave way in the Atlantic rift on November 29, 2014 as booms from sudden plate movement were simultaneously heard in upstate New York along the Seaway as well as several places in Scotland and Britain. The Seaway of course is pulling open, and would react to a widened Atlantic rift. The UK is dropping on its western edge. Whenever the gap in the Atlantic rift widens, support for the UK is lost, thus a drop in elevation. The only connection between these two locations is the ripping Atlantic. A loud boom was reported by a number of people in upstate New York on Saturday afternoon at the same time as a similar noise was heard more than 3,000 miles away in the UK. Residents in locations including Buffalo, Cheektowaga, Clarence and as far north as Niagara Falls took to social media to report the unusual noise at around 4:45 p.m. EST. People described it as loud enough to shake their homes and rattle windows. One possible explanation is that the loud noise and ground shaking could have been a meteorite breaking up in the atmosphere, which would result in a sonic boom. At the same time as residents in New York State reported hearing noises, hundreds of Twitter users in the UK reported hearing similar sounds - that also shook their windows. Meanwhile, conspiracy theorists took to social media to claim that aliens were to blame. ZetaTalk Comment 12/6/2014: Simultaneous booms heard 3,000 miles apart, along the Seaway in New York State and in the UK, can only mean one thing – the Atlantic is pulling part, and as it does the Seaway is pulling apart and the UK is being pulled down. All of this creating fracturing rock, thus the booms. Booms showing signs of a tightening N American bow were evident in November also. A tightening bow would certainly aggravate the N American Plate’s connection to the Eurasian Plate out in the mid-Atlantic. One adjustment leads to another. Residents across southern Montgomery County and northern Warren County Sunday night heard three loud, earth-shaking booms. Local utility companies also did not report having any incidents and there were no power outages in the area. We can confirm it was not a minor earthquake. The USGS reported no such activity for southern Alabama or the Gulf of Mexico. 24 hours after a 4.8 quake was felt in Salina, people from various parts of the city reported hearing a loud booming sound. Salina police and fire department representatives said several people had called to inquire about the noise, but as of the evening, the cause was not known. The U.S. Geological Survey website reported no earthquake activity at that time, and representatives of the Smoky Hill Bombing Range reported no bombing activity at the time. Earlier, in August 2014, booms were recorded in southern Mexico and along the spine of the Andes in Peru, signs of the S America roll. 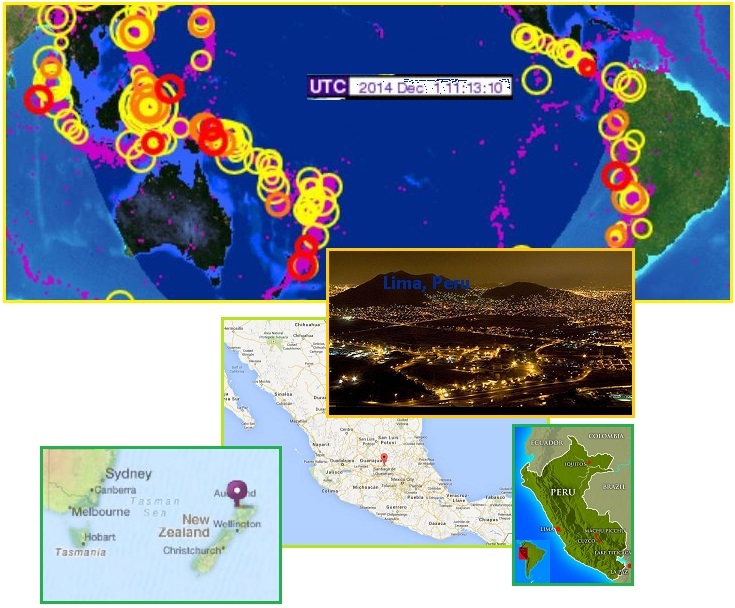 What leads the charge in these 7 of 10 plate movements is a lifting of the brake, the Indo-Australian Plate lifting near New Zealand and the Solomon Islands, and indeed booms were heard in Auckland in June 2014. All this activity is quite apparent on IRIS quake charts. Plate movements tend to proceed from west to east, and the quakes and booms recorded during 2014 have certainly followed that pattern. An underground hit, with consequent shaking doors and windows has been recorded in the Hacienda Gardens neighborhood for about four months, however it has increased in frequency and even heard by dawn. The clarion call of the neighbors is the sense of concern for not knowing the origin of the "coup" and especially because in this neighborhood runs the San Andreas fault line and the results are visible in an adjoining subdivision to the highway. In interviews conducted by Noticias neighbors agree that the noise is heard on the ground, it's like something ran underground and then hit, and then an increased frequency and intensity of the blow, which makes windows and doors vibrate. Suddenly, social media were flooded by reports of loud explosion noises heard in different districts of the vast city of Lima (El Augustino, San Borja, Rimac, La Molina, Surco, Surquillo, Lima Center, San Juan de Lurigancho, Brena, Jesus Maria, Miraflores). Sound of thunder? Dynamite explosions? A series of mysterious "explosions" have been reported across west and north Auckland, but police are mystified. Reports of loud ‘‘bangs’’ followed by houses shaking began about 5pm, in the Hibiscus Coast area. Inspector Tony Edwards of police northern communications said police received reports of the bangs from the Herald Island - Greenhithe area about the same time. The Zetas have said that the elite of Indonesia made a deal with Australia. They would keep their citizens trapped in Indonesia to drown, so that they themselves might be invited to safety in Australia. While the Sunda Plate sinks and Indonesia loses land to the sea, they are busy keeping undesirables away from Australia. This despite a commoner being elected President in Indonesia on October 20, 2014. It appears it will be business as usual for the elite. Asylum seekers trying to reach Australia could be housed on Indonesia's uninhabited islands. 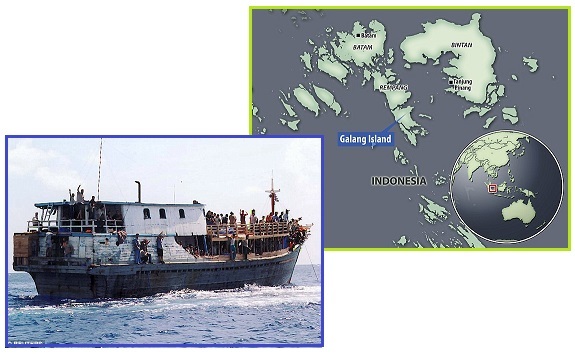 Galang Island, Batam, in the country's northwest was used to accommodate 250,000 refugees during the Vietnam War between 1979 and 1996. The suggestion follows last week's decision by Australia's federal government to lock out asylum seekers who registered after July 1. Mr. Joko, 53, is the first Indonesian president not to have emerged from the country’s political elite or to have been an army general. Mr. Joko defeated Prabowo Subianto, a former general and son-in-law of Suharto, the late authoritarian president who was forced from office. Mr. Prabowo, however, leads a coalition of opposition parties that control a majority of seats and all the leadership positions in the House of Representatives and that has vowed to challenge Mr. Joko’s policy agenda at every turn. ZetaTalk Statement 7/9/2011: The elite of Indonesia had made arrangements with Australia, in exchange for an agreement to keep the common man in Indonesia trapped in their cities until it was too late. Eastern Australia is still seen to have a welcome sign out for the elite of Indonesia and the UK, and as recent news articles show, even the wealthy of the Middle East.